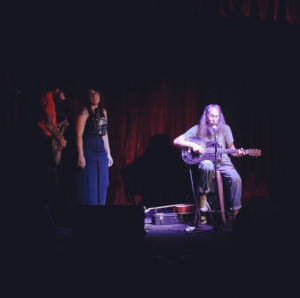 We were so thrilled to have the opportunity to head out on the road with US folk legend, Charlie Parr, in March/April. We played nine shows across NSW (Lizottes Newcastle, The Vanguard, Heritage Hotel Bulli, Harmonie German Club ACT, Brass Monkey) and Victoria (Sooki Lounge, Caravan Club, Harvester Moon, WOW Roots). We had such a fun time with Charlie and by about the second night we had merged into a new supergroup, “Eagle, Wolf and The Sloth” – the greasiest JJ Cale cover band in all of Australia. Thanks to those that came out and supported the shows. We had the best time and hope to see you out on the road again soon!